Shout! Factory and Sony have released Hart to Hart: The Complete Fourth Season, a 6-disc, 22-episode collection of the hit ABC romantic murder mystery's 1982-1983 season. Created by novelist Sidney Sheldon and screenwriter Tom Mankiewicz, produced by Aaron Spelling and Leonard Goldberg, and starring Robert Wagner, Stefanie Powers and Lionel Stander, Hart to Hart was pulling in Nielsen Top Twenty numbers for this penultimate season, with the attractive, charismatic leads giving loyal viewers a sophisticated dose of tongue-in-cheek glamour week after week. No extras for these good-looking fullscreen color transfers. Los Angeles, California, 1982. Self-made multi-millionaire Jonathan Hart (Robert Wagner) has no time for mundane office duties at his electronics empire. He's too busy solving murders and thwarting smugglers and spies, all with the invaluable help of his gorgeous wife, Jennifer (Stefanie Powers), a freelance journalist. Major domo Max (Lionel Stander), provides for the couple's every need, although he's treated more like a member of the family, rather than a servant. 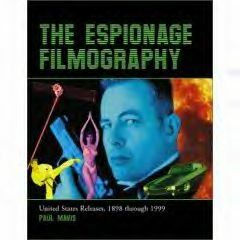 Originally conceived as an unproduced made-for-TV movie script that could be described as "Nick and Nora Charles as spies," novelist and TV writer Sidney Sheldon's (The Patty Duke Show, I Dream of Jeanie, The Other Side of Midnight) unfilmed script was in turnaround before powerhouse TV producers Aaron Spelling and Leonard Goldberg hired screenwriter Tom Mankiewicz (The Man With the Golden Gun) to adapt Sheldon's story into a weekly series. Unable to get the real (and very retired) Cary Grant for the series, actor Robert Wagner (To Catch a Thief was chosen for the proposed series, with Stefanie Powers eventually hired as Wagner's wife (Wagner's real-life wife, Natalie Wood, was considered for the role, before Wagner shot the idea down). Lionel Stander rounded out the cast as manservant/sidekick Max (incredibly, Wagner originally suggested boxing star and non-actor Sugar Ray Robinson for the role). With his usual attention to glitz and glamour, producer Spelling made sure Hart to Hart emphasized pretty people in pretty settings, involved in light, airy mysteries meant not particularly to enlighten...but surely to entertain. And entertain it did. A relatively slow starter its first season in the 1979-1980 TV year (it didn't hit in the Nielsen Top Thirty), Hart to Hart made big leaps in seasons two and three (23rd and 15th, respectively--its peak year), before this fourth season. Leading out a solid line-up--Happy Days (28th), Laverne & Shirley (25th), Three's Company (6th), 9 to 5--Hart to Hart's 17th place finish this season was impressive against The CBS Tuesday Night Movie (27th)...and no competition from first Robert Urich's failed drama Gavilan, and then Genie Francis' failed soap, Bare Essence. The fullscreen, 1.37:1 color transfers for Hart to Hart: The Complete Fourth Season look a tad soft and muted, with a less-than-sharpish image and some slightly faded color. The Dolby Digital English mono audio tracks are just serviceable, with a bit of hiss. Closed-captions are available. No extras for Hart to Hart: The Complete Fourth Season. Loyal fans of the series will of course buy this fourth outing, as will those who appreciate light 80s romantic capers. Hart to Hart: The Complete Fourth Season is recommended.